Employee volunteering – is it right for your small business? According to HR magazine 23 million people over 16 volunteer at least once a year. How would they feel if they were to be ‘forced’ to do it? It doesn’t quite sound right does it? With a new Conservative majority government comes the possibility that businesses with over 250 staff in the public sector will have to give staff up to three days a year for voluntary work. Should small businesses start thinking the same way about employee volunteering? Is there a benefit to employee volunteering schemes? As the article from HR magazine suggests, there is in fact evidence to suggest that paying people to volunteer almost takes the point out of it for many people. Their motivation decreases, as does their productivity, and it would make sense that this would only get worse if volunteering were made compulsory. In a further article by HR magazine, the writer Ann Pickering (HR director at O2) makes a good point that should be heeded by any employer looking to bring in their own volunteering scheme – “Employers need to foster an environment that encourages people to view social responsibility as just as important as their daily tasks”. Couldn’t have put it better ourselves. 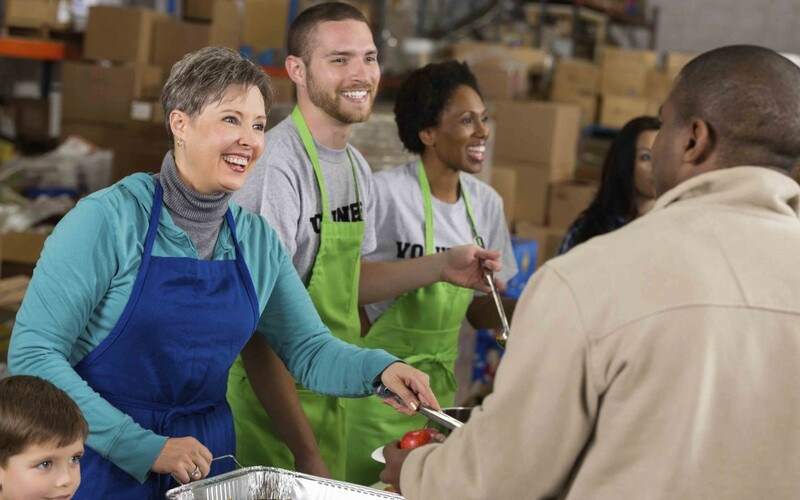 How should you handle employees volunteering? making it compulsory will impact on employee motivation and output – after all they’re representing your business! Once you’ve implemented the strategy, it is also a good step to put in some sort of recording mechanism in place. Not anything too ‘Big Brother’, just an agreement with the organisation with which they volunteer to help you ensure they worked as you would expect, or that they even turned up! After all, it’s a paid day out of the office. Also help your staff to understand, as with their job role, what is expected of them in terms of output and behaviour when they are working as a volunteer on behalf of your business. This will help you to manage them more effectively as they represent your company outside the confines of the office. A survey of volunteers by the Institute for Volunteering Research found that the majority of people who volunteer enjoy the experience, 97% saying that getting satisfaction from seeing the results of their volunteering was an important benefit, 98% citing enjoyment, and 93% saying they felt they achieved something personally. Therefore, handling employee volunteering in the right way could well be a boost to your staff, both in terms of job satisfaction and even mental wellbeing. Two potentially major benefits to your staff and business, at the cost of just a couple of days work. At the end of the day, deciding whether to introduce volunteering to your workforce is entirely dependent on your business situation. You may not have the time to devote to something that is only going to deliver a marginal, and indirect, benefit to your business.